For 11 years we have lived in our home with only 1 bathroom. We have managed to make it work until now, but with my parents moving in and the girls getting older we reached our breaking point in September. 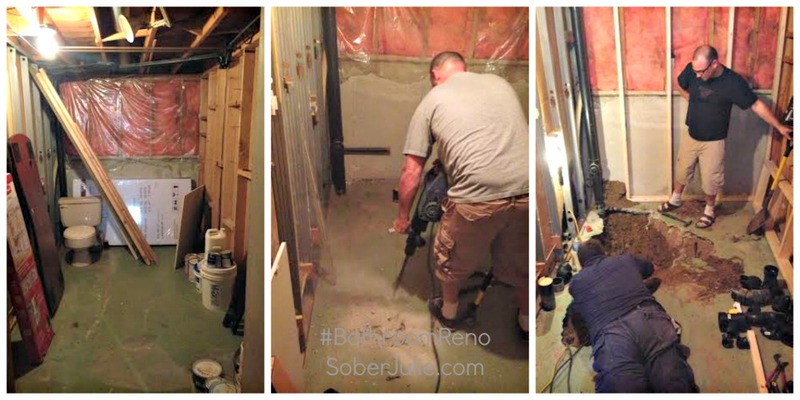 Thankfully we had a rough-in for a bathroom in our basement which means we have the space to put in a 2nd bathroom. After much shopping and planning our bathroom renovation is officially underway! 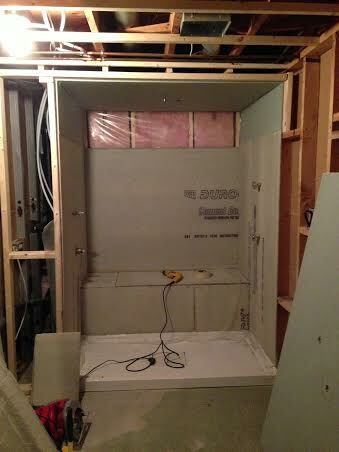 The first step to our bathroom renovation was to get in an electrician who upgraded our electrical box to be able to support the extra need. Next was to clear out the space because it had been a storage room for years. We then called in a friend who is a plumber and hubby and he planned out the entire job. Next my husband framed in the room to prepare it for the electrical and drywall. The plumbing was complete and I probably spend far too much time with my future Delta Shower System…but hey if you were living with this gorgeous, sparkly stuff amidst the chaos you’d do it too. 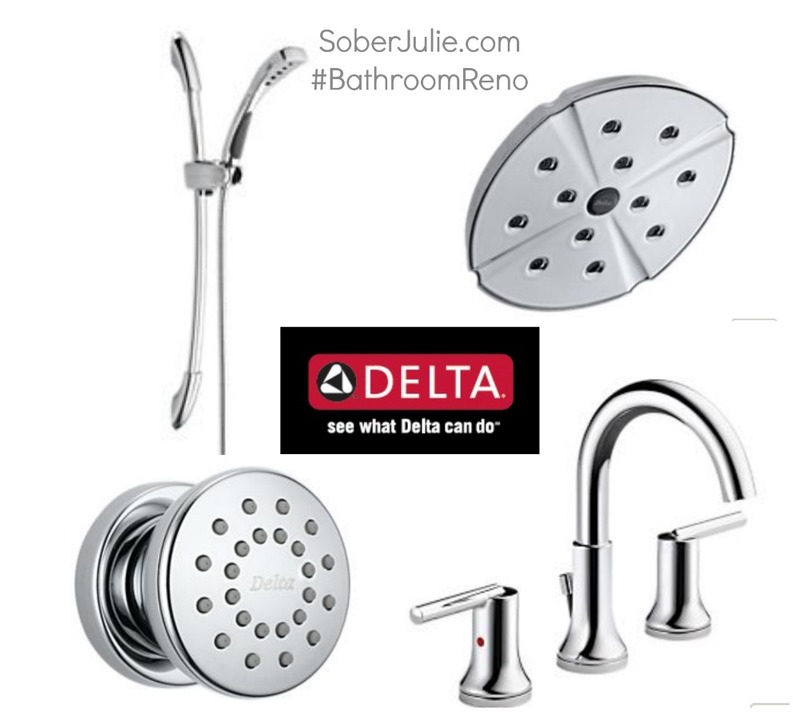 When we began planning this bathroom renovation, I reached out to my friends at Delta Canada and they jumped at the chance to help me design our shower system and faucet. I sent them images of our walk-in glass shower, the tiles we’d be using and the vanity and they came up with the perfect fit! One day soon I know I’ll be walking into a gorgeous bathroom which combines comfort with some amazing shower features…including a rain head shower, body sprays and fabulous finishes. As of today, we are on hold until our electrician comes in one more them. We are getting into the fun stages of flooring, tiling and the work which actually provides instant gratification. 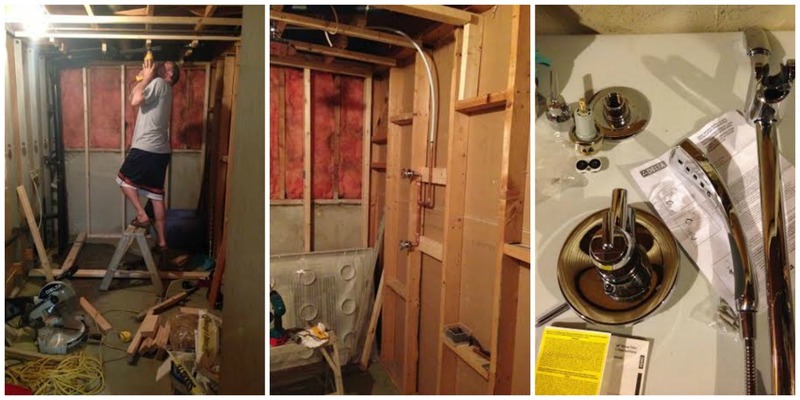 The kids are DYING for that 2nd bathroom….and so is mama at this stage. This is a BIG project, one which we are excited about and I’ll keep you updated as we progress over the next few weeks. Hopefully soon it will be complete…but I’ve learned to be patient. Disclosure: Delta Faucet Canada has partnered in this project, all opinions are my own. Looks hectic! I had mine done two months ago. The inbetween bit is the worst :) Be sure to show pics when its completed!! I will for sure, things feel totally disorganized but there is a method to this madness…. 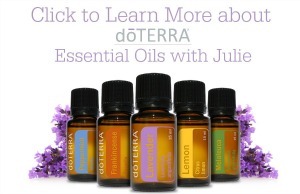 sorry forgot to say thanks for the blog!! I gotta ask, how amazing is the shower?